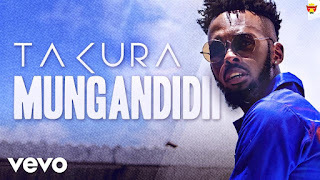 Some time ago we got a press statement from Kosha Management stating that they had parted ways with Takura, citing irreconcilable differences and therefore all pending releases were to be nullified. Then Vusa Blaqs posted on Facebook that the Mungandidii video was dropping, which got me thinking, what the actual f**k is going on here? The video dropped and it's still the same team. Was the press statement just a rant? Or will we have to wait for another press statement. The highly-anticipated (yes the hype was real) video dropped last night to to a lot of critical acclaim and applaud from Zim Hip-Hop influencers. Making cameos in the video are Tkae Chidz, DJ Towers, Kedha and Bhutisi of P.O.Box fame and the Comic Pastor. What's your take on the video?